Digital financial service providers are set to pitch their business in direct competition to Swiss banking firms. The size of the challenge the established industry faces is the topic of a new analysis. N26, the mobile German bank, is close to starting up in Switzerland: it expects to launch in the first half of this year, a spokesperson told finews.com. N26 offers retail banking services via mobile devices free of charge. Earlier this month, N26 raised 260 million euros ($297 million) and is valued at 2.3 billion euros, putting it ahead of U.K. rivals Revolut and Monzo. The German firm will use the new money to grow further. 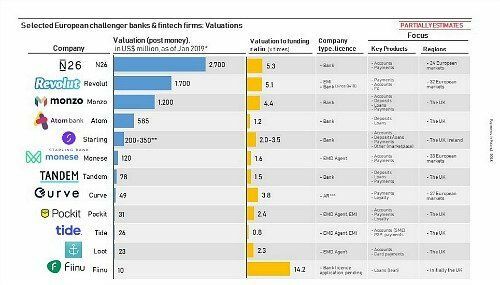 As Europe has no dearth of banks, the so-called neo banks will have to take market share from the established firms. 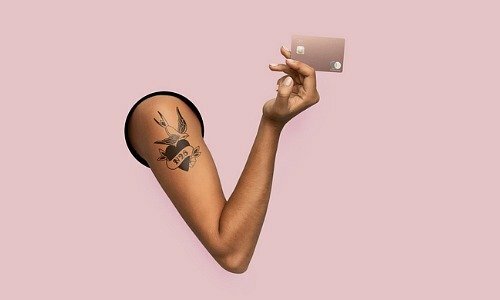 Revolut for instance claims to have 50,000 Swiss customers already, while some 10,000 Swiss have given notices of their interest in banking with N26, «Tagesanzeiger» reported. 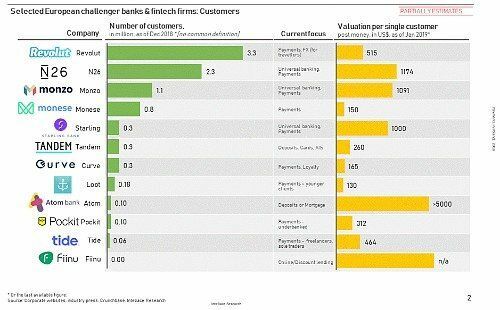 This kind of rapid growth will have alarms ringing at the Swiss banking industry. The established companies will need to come up with a strategy to counter the offering of cheaper and leaner competitors. They will do well to read the analysis of Marcin Mazurek, a Polish consultant. He explains how dangerous the new players can be and creates some sense of transparency in respect to the notoriously cagey fintech challengers. Mazurek concluded in his report that the challengers have been rather successful in raising money from investors. The seven biggest firms have attracted some $1.8 billion so far. The valuation of the companies is $6.7 billion, a sign of how attractive the fledgling industry is seen (see table below). The companies urgently need the funds, because companies such as N26 need to acquire customers – and that’s a costly undertaking. The new challengers don’t apply for a banking license and are not necessarily interested in penetrating markets in a profound manner. Their approach is to sweep across nations and regions. Since 2015, the top-7-providers boosted the number of clients to more than 8 million from 200,000 (see table below). By 2020, the number will likely have doubled to 16 million. May sound like a lot, but pales when compared with the 430 million banking clients in Europe. The market share of the neo banks is a paltry 2 percent. Some way to go to a real disruption, in other words. And there’s an even more important question linked: are the challengers able to turn fast growth into profits? Mazurek also noted that the new firms use bait offers to lure clients and later try to move them to a premium service. But most neo banks haven’t yet been able to earn proper money with their service – N26 and Revolut both haven’t reached breakeven.